Yesterday, the whole family was outside playing and working in the front yard. My daughter (who is almost 2) was helping me weed. 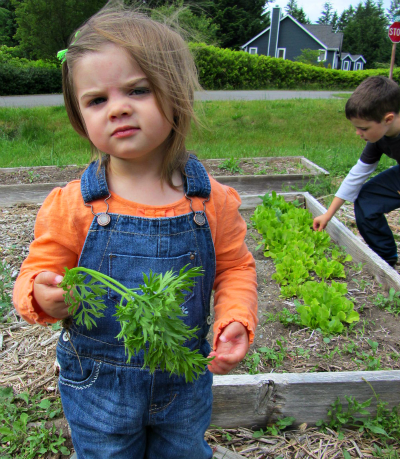 She loved it and after we were done weeding, we checked on our carrots that are almost big enough to eat. 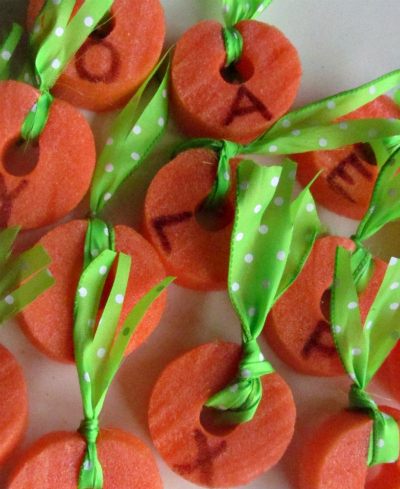 This all gave me a great idea for an outside sensory filled alphabet activity for our Alphabet For Starters series. What Alphabet for Starters is all about is to play and introduce letters to children just starting to show interest, point them out, and recognize them. We try to incorporate other areas of learning into the activities, too. Today’s has a strong sensory element. If you want to do this inside, use a tub and fill it with coffee grounds or rice. Gather your materials. 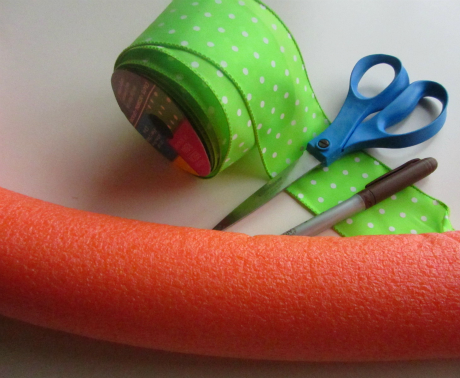 To make the carrots you will need an orange pool noodle (a red one could be radishes too! ), a permanent marker, some green ribbon, a knife, and scissors. 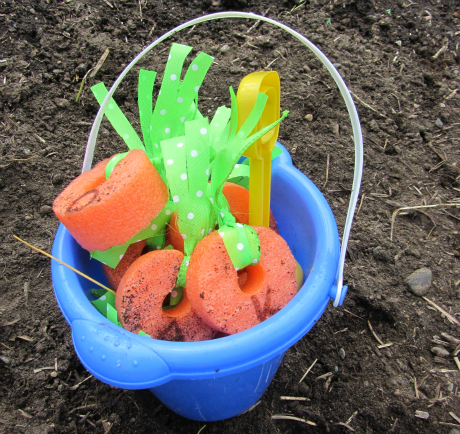 For the rest of the activity, you will also need some soil and patch of garden, if you are doing it outside, or a tub and filler for a sensory bin. Pail and shovel are optional. 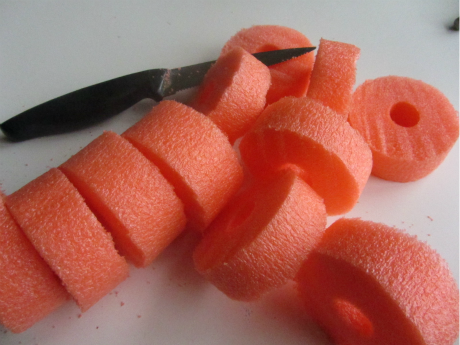 Start by slicing your pool noodle. Bread knives work the very best, but our cheap steak knife was ok, too. Next, write letters on the noodles with a permanent marker. You will notice I did not do 26 letters. If your child is capable of staying engaged the whole time with 26 letters, by all means, do. At 23 months, I am not expecting my daughter to stay that focused. This shouldn’t feel like work to he. It should be a fun new experience. Next, cut some ribbon and tie it to the noodle as the top of the carrot. Head outside and plant them. 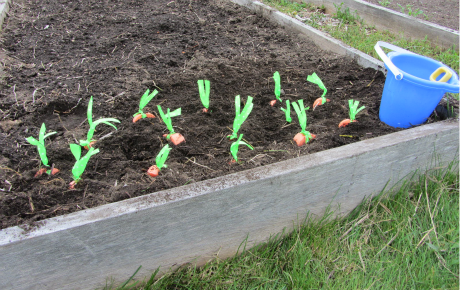 All ready for my little carrot farmer! 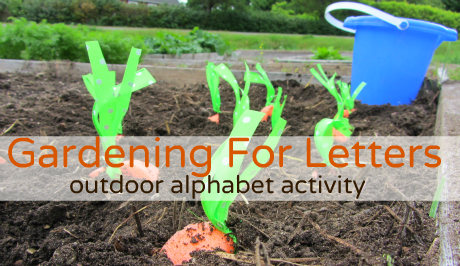 Time for gardening for letters. 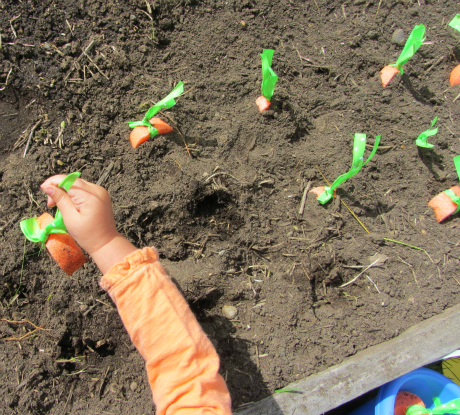 As they picked them, we looked for the letter on each carrot. She was also counting as we went. Perhaps it’s time for a math for starters series? After filling up the bucket, we found a few of our favorites. (R and O ) and then picked some real veggies. 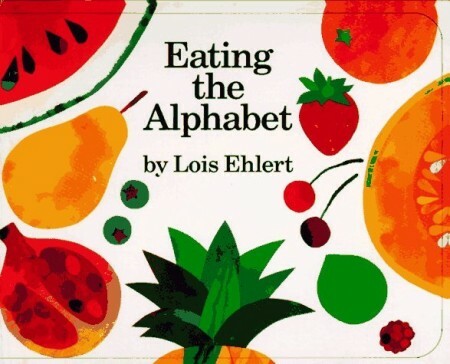 Eating the Alphabet: Fruits & Vegetables from A to Z by Lois Ehlert is an alphabet book extraordinaire and perfect for a letter F week since it”™s all about food! Wonderful paintings of fruits and vegetables seem ultra simple and it is but somehow the way the author has pieced this simple book together is brilliant. Maybe it”™s that children learn about food at the table multiple times a day and feel proud being able to identify not only some of the letters but some of the pictures too! From a teaching standpoint, I love that there are both upper and lower case letters on each page! This book will grow with your child, and beware it will also make you hungry. 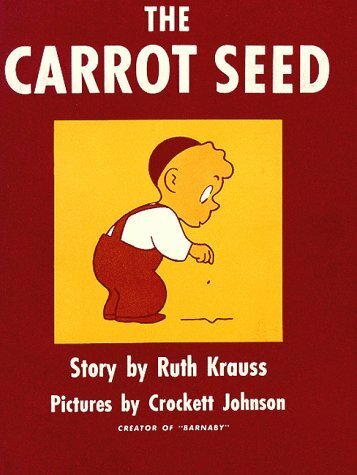 The Carrot Seed by Ruth Krauss is a rare gem, it has been in print for over 60 years and has delighted generations . If you aren”™t familiar with the story, a little boy plants a carrot seed and everyone tells him “It won”™t come up”. This doesn”™t stop the little boy from patiently taking care of this little seed, that eventually grows into a giant carrot. The message is a universal one of sticking to your guns even when everyone tells you to give up. My son loved the story the simple pictures that will bring you back to your own childhood, at least they did for me. A true classic. 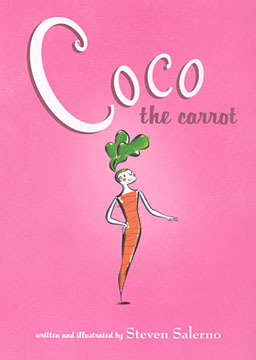 Coco The Carrot by Steven Salerno is an absurd tale of adventure, and I loved it. Coco is a carrot who dreams of a life larger than the vegetable drawer. She dreams big and goes for it. Unlike most carrots that end up in stew, she becomes a famous hat designer. She is the toast of Paris with her Monkey companion Anton. If you are scratching your head but oddly intrigued you will like this book. 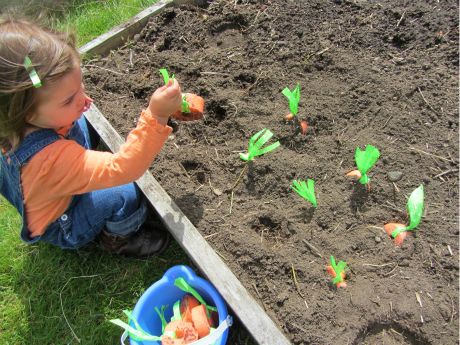 It was long, but my son sat with me giggling and telling me ”Carrots can”™t do that? !” more than once. I loved it because it is so absurd that she is a carrot, but the story itself is about going for your dreams, hitting bumps in the road and realizing that your dreams shift and change and that”™s OK. There is great bits of humor for the adults as well, something I always appreciate! Previous Post: Link & Learn ….and have fun! ok, this is so cute. Seriously, love this. this is a great post! you have so many awesome ideas here! keep them coming!! Thanks Jenny- My daughter and I area having so much fun . I didn’t expect my son to like helping me make and set stuff up for her so much but he does too! Oh wow! This is ace! Wow! I love it! I’ll do this activity with my students and my 2 year old son. I can so envision doing this for other veggies too… take green and cut the coined pieces in half to look like a green bean, write letter, pin to a “vine”. 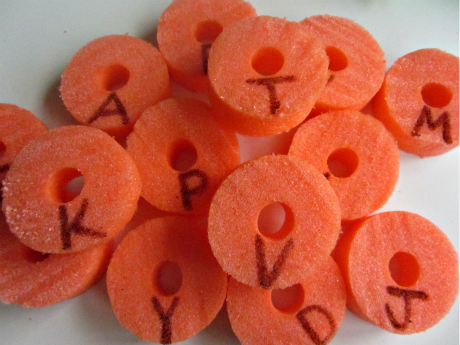 Fine motor and letters! Corn could be a yellow noodle just cut longer, wrapped up in fabric, pinned to a stalk, harvested and shucked. Ooo I need some pool noodles stat. I absolutely love this!! We are definitely incorporating this and doing carrot for a letter of the week section!!! 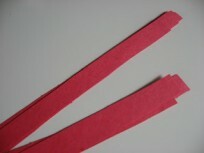 Did you use wired ribbon or grosgrain ribbon? Love this idea and I’m going to use it for our farm unit for my three year olds! The ribbon was wired but good stiff grossgrain would work too! Great activities! 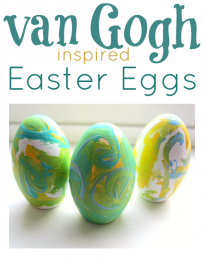 I canâ€™t wait to do them with my preschooler and toddler!